PowerPoint presentations are the most common and effective way to deliver pitches and detailed information to groups of people. This Microsoft product has become the established way that business people all around the world display and share information effectively. However, some ways to create these presentations are much more effective than others. There are five common techniques that are used to make presentations especially compelling. Placing graphics on every page is perhaps the most important tip to improve PowerPoint presentations. Whether it is an image of the product you are pitching, the logo of your company or a simple vista image, it is important to load up every page with a graphic. These divert the eyes from the words and instantly give the audience an impression. Hopefully, you can match the graphic with the message you are trying to convey. At the every minimum, use the image to create positive associations with whatever you are presenting. Whether that is a smiling happy family, a sunrise or an ocean view, delightful images help to rate a positive image in the minds of your audience. Another important strategy is reduce the number of words and long sentences or paragraphs in your presentation. Wordiness is perhaps the biggest turnoff of any presentation because the audience could absorb the same information by reading it themselves rather than hear the words spoken. The information is not conveyed well and the audience may drift into their own thoughts. This presentation seen here is an example of wordiness that is unclear and unhelpful. Complex jargon also hurts the message when the group does not adequately understand the topic. For that reason, the vocabulary should be as simple as possible and bullet points or short sentences should be used. Do not use the entire line and keep big spaces in between points so that they are easy to read. Switching from one slide to the next indicates to the audience a progression of your subject matter. You want to move on to a new point or provide additional detail on a previous point. You want to recapture audience attention so that they will look at the new slide that is on the screen. The best way to accomplish this goal is by including an interesting transition format. Slides can appear a number of different ways including up, down, right or left. They can appear slowly or very rapidly. The can even appear horizontally. In any case, these transitions will increase the appeal of the presentation. Getting the right feel on a presentation is a tough task usually saved for professional designers. A business person, researcher, student or professional with no design experience is likely to create something with mixed colors that are not visually appealing. Presenters should look at using the embedded templates that come with PowerPoint, including the fonts, colors and sizes. Additionally, you can purchase professional templates and graphics that are right for the impression that you would like to convey. Use effective symbols to direct your audience to specific conclusions. Symbols like arrows, conveyor belts, circles and lines direct the audience to follow visual cues to reach the same conclusion that you are trying to make. Not only that, but you avoid using costly words that may be hard to read or understand. Instead, use symbols to make your point without any words. 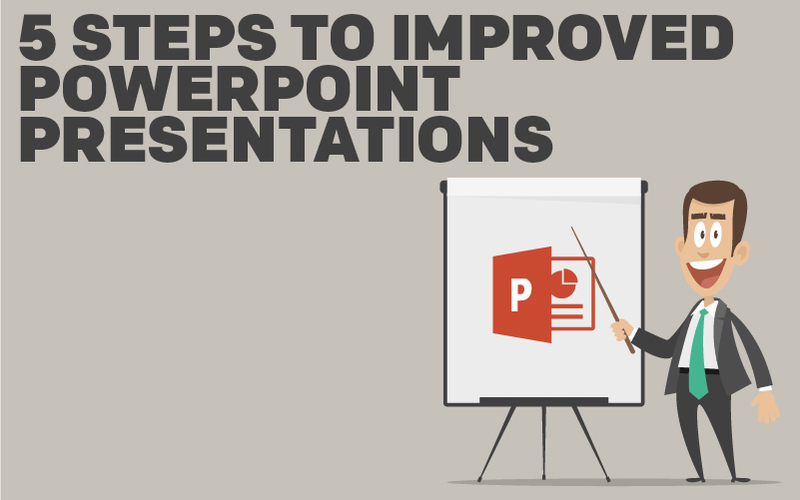 What additional steps would you add to help improve a PowerPoint presentation? Share with us in the comments!